If you’re looking for the newest deals on Autumn flowers then look no further! Avas Flowers® not only offers the freshest flowers that you’re sure to find with any florist, but we have some great deals on them as well! Below are some fantastic coupons to help you save big on your next Avas Flowers® purchase. Why spend more on flowers when you don’t have to? Send a gorgeous arrangement of fall roses today and let us help you save you some money at the same time. When making your next Avas Flowers® purchase use these codes and coupons for any flower bouquet, plant, sympathy wreath, or vase arrangement featured on this site. Purchase a beautiful orange rose bouquet and apply your Avas Flowers coupon code: AVAJUST4U for an additional 20% off your order! Act quickly because the code is only valid until Friday, October 29th, 2012! Reminisce of times when you were younger, jumping in piles of leaves and carving pumpkins during the magical season of fall… Beautiful two-toned roses sit elegantly in an orange gathering vase. 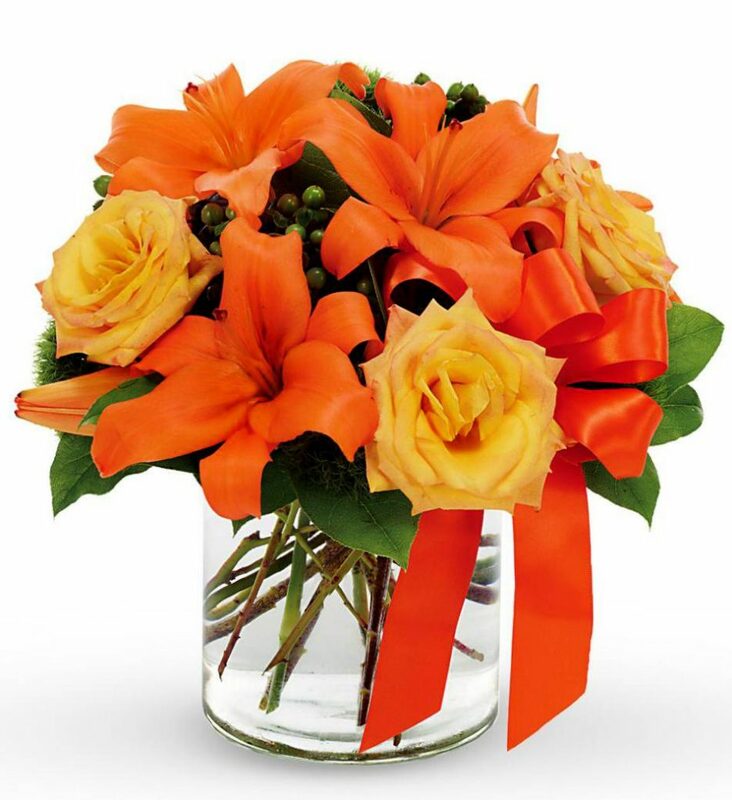 The Orange Rose Bouquet is a gorgeous way to celebrate the season. AVASFALLSAVE – $3 off of shipping costs for items with same-day delivery. AVAS2012 – 15% off of any purchase over $35.00. ‘Like’ us on Facebook or follow us on Twitter to receive additional coupon codes on all of our fall products.